How high are realtors' and lawyers' fees in Russia? What about other property purchase costs? Legislation in 2001 brought the opening up of real estate to foreign investment. The Land Code of 2001 allows private ownership of land and properties, both by locals and foreigners. In pre-Land Code Russia, private land ownership was not allowed, only a 49-year land lease. Prior to the Land Code, land ownership was not the same as the right-to-use (the property). 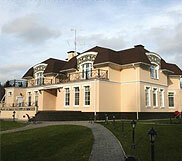 This distinction between ownership and the right-to-use impeded the smooth development of the Russian property market. The Land Code integrated land ownership and the right-to-use. However, there are some instances where legislation is not applied religiously and foreigners can still not penetrate the Moscow land market. How difficult is the property purchase process in Russia? Having chosen an apartment, the buyer as well as the seller is required to present documents necessary for formalizing the sale transaction such as passports of all participants, apartment title documents, Urban Registration Office of Rights on Real Estate statement about absence of limitations on property disposal, floor plan, psychiatry and neurology facility references and notes for all participants. The buyer and seller then execute a preliminary agreement, which describes all the conditions of the future deal, and outlines the list of necessary documents to be provided by the seller. Sale transactions always take place in banks. The buyer deposits the full purchase cash amount in a safe deposit box on the condition that the bank will release the money to the seller only upon the presentation of the complete package of registered documents under the buyer's name. Wire transfers are considered riskier as compared to cash purchases since escrow accounts are not well-established in Russia. After the payment, both parties proceed to sign the sale-purchase agreement in front of the realtor or a notary. The signed agreement is sent for state registration, after which actual transfer of ownership right takes place. An Acceptance Act needs to be executed by both parties on the date of transfer of the property, certifying that the property is being transferred to the buyer in an acceptable condition. The regular term of registration is around 22 days. There is approximately a US$50 fee if you hire someone to file your registration paperwork. Russia uses Russia Rubles. Exchange rate is at US$1 = RUB26.39 as of 06 June 2006. The agent's commission, paid by the hiring party, is around 2% to 5% of purchase price. Buyers are highly prescribed hire an agent because of the complexity of the negotiation and buying process. Agent's fee is typically inclusive of property search, ownership and right of use check, closure arrangement and supervision of final property transfer. Notary fees are optional. However, it is often recommended since it is equivalent to buying title insurance. Notary fees range from 0.7% for expensive properties to 1.5% for smaller ones. Sale-purchase agreement must be registered with the State Registrar for the Property Rights and Deals. Usual registration takes about a month and costs RUB3,000 (€43); expedited registration is available for RUB6,000 (€86) and takes only 2 weeks. The fee is paid per entry, a transaction may need several entries). If the property purchased is a building with land, separate fee is paid for the registration of land. Registration fees also include certificates and extracts. Value Added Tax of 18% is levied on the purchase price of buildings (premises). Sale of land plots is VAT-exempt. How landlord-friendly is the law in Russia?